No matter if you are having a house party, moving into a new house or just want your current house cleaned, Top Greenwich Cleaners is always there to help you. We offer our home cleaning service throughout London and we have a team of highly skilled and professional cleaners with latest equipment to clean your facility. Our cleaning company Greenwich offers different kinds of house cleaning packages and our skilled team of cleaners will get your home sparkling clean in no time. We assure you that this is going to be the most thorough house cleaning service you will ever get. House cleaning packages involve cleaning of the bathroom, kitchen, floors, bedrooms and such places. 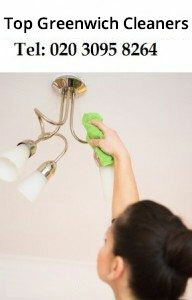 The best idea is to call us as soon as possible and get a free quote to get your house cleaned. House cleaning is a very personal matter within a personal space and our workers understand this fact and respect your wishes, space and privacy all the time. The great thing is that our staff are open to discussing your needs and even let you customize the cleaning services according to your preferences. From cleaning fans to polishing silver and emptying trash receptacles, we offer all kinds of cleaning services for our clients at competitive cleaning prices. We know that time is really important for our clients and that they have a busy schedule so we make sure that your house is cleaned in a proper way in shortest possible time. However, if you are not satisfied with the quality of work, you can call us within 24 hours and we will send another cleaner to make it right for you. For more information, please contact: 020 3322 7101.